Restaurant Owners–What Are Your Numbers Really Telling You? Successful restaurant owners are focused on providing high quality food at reasonable prices and with very good service. This is obviously a very important focus for restaurant owners. Successful restaurant owners also know that there is a numbers side to the business—how profitable is the restaurant? It is helpful for restaurant owners to know how their financial numbers look compared to their competition. When restaurant owners compare their numbers to industry norms, interesting questions tend to arise. They begin to take closer looks at certain aspects of their restaurants to make sure they are operating the restaurants as profitably as possible. Our firm has access to real-time databases and we were able to gather information on privately held restaurants in Michigan with sales of $1 million and under. JoJo’s cost of food is slightly higher than the average. Going through the numbers on a regular basis may not be the most interesting thing to do, but it will reveal things about your restaurant that could surprise you. Once a restaurant decides which food items to serve on its menu, it’s important that the menu items be monitored and evaluated on a regular basis. 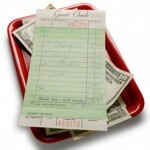 This helps the restaurant owner respond to changes in customer demands and to changes in food prices. Restaurant owners typically change their menu items and prices based on gut feelings as to how profitable and popular each item is. However, there is a more accurate way to evaluate menu items to increase a restaurant’s profits while keeping customers thrilled with the selection. This process focuses on the profitability and popularity of each menu item. It makes sense to divide the food items into categories such as appetizers, entrees, desserts, alcoholic beverages and nonalcoholic beverages. This makes sense because a menu item should only be replaced by another menu item in the same category (for example, you would only replace a poor performing appetizer with another type of appetizer, and not with a dessert). At a minimum, menu items should be evaluated each time the menu is reprinted. When ranking menu item, the restaurant owner uses his experience and judgment to rank each item separately for profitability and popularity. Two decisions can be made very quickly. First, items that scored an A for both profitability and popularity should obviously be kept on the menu. Second, items that scored a D for both profitability and popularity should be dropped from the menu. However, the restaurant owner must make sure that these changes will not greatly affect the popularity of the item. Employees who receive tips must report them as income on their tax returns. To make sure employees are taxed on their tips, they must report their tips to their employers so their employers can withhold taxes and report the tips on the employees’ Form W-2s. Each year in February, large restaurant owners must report their employees’ tips to the IRS on the Annual Tip Income Report. This report shows the IRS how much in tips the employees are reporting. If tips are less than 8% of sales, then the IRS requires the employer to increase total tips to equal 8% of sales, then allocate those increased tips to their employees (generally based on hours worked or sales made by each tipped employee).their tips to their employers so their employers can withhold taxes and report the tips on the employees’ Form W-2s. It should be noted that the IRS usually expects tips to be greater than 8% of sales, so making sure that tips equal 8% of sales will not provide complete safety from an IRS tip audit. When auditing tips, the IRS will estimate actual tips by looking at the tip percentage on credit card slips. Unlike tips on cash sales, restaurants have records of charged gross receipts and the related charged tips. The IRS can look at the tip rate on charged sales, and then apply that tip rate to total cash and credit card sales. Example: The employees at Bob’s Restaurant report very little tips on their tax returns. The IRS decides to perform a tip audit at Bob’s Restaurant. The IRS reviews the credit card charge slips and determines that credit card tips are 12% of credit card sales. The IRS will take this 12% and apply it to total sales (cash and credit card sales) to estimate total tips earned. If Bob’s Restaurant has $800,000 in total sales, the IRS will estimate tips at $96,000 (12% multiplied by $800,000 sales). If Bob’s Restaurant’s employees only reported $80,000 of tips, then Bob’s Restaurant would have to allocate $16,000 of additional tips to its employees ($96,000 IRS determined tips less $80,000 employee reported tips). Bob’s Restaurant would have to amend payroll tax returns, its income tax returns, issue corrected W2s to employees (who would have to amend their personal returns), and pay payroll taxes on the increased tips plus penalties and interest. One silver lining is that the restaurant owner can claim a tip tax credit on the additional FICA taxes paid. As you can see, this would be a complete mess. Send waitstaff with low tip percentages through additional training (if the waitperson is providing poor service, his low tip rate could be affecting the restaurant’s overall tip rate. This employee would need more training or be let go). The current minimum wage in Michigan is $7.40 per hour. The Michigan Minimum Wage Law covers tipped employees age 16 and over. Under this law, employers may pay tipped employees $2.65 per hour if tips received by the employee plus the $2.65 hourly rate equals the minimum wage of $7.40. Thus, employers may pay tipped employees $2.65 per hour provided that reported tips per hour equal at least $4.75 (so the total hourly rate is $7.40). This $4.75 reduction in the minimum wage is referred to as the Tip Credit. When calculating overtime for tipped employees it is important to note that the hourly rate being multiplied by 1.5 is the minimum wage of $7.40 and not the reduced wage of $2.65. 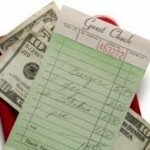 The tip credit then reduces the overtime pay rate. A common mistake is to simply take the $2.65 minimum tipped wages and multiply it by 1.5. 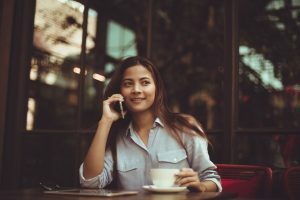 When employees have different pay rates during a pay period (e.g., a waitress also works as a hostess), a weighted average pay rate must be calculated. This average pay rate is then used to calculate the overtime rate. Example: Jimmy’s restaurant has a waitress who makes $2.65 per hour as a waitress and $8 per hour as a hostess. She earned $200 in tips. *The employee has already been paid 70 hours at the average standard rate of $7.66. This calculation adds the overtime premium to gross pay. Business owners who buy assets that have useful lives longer than one year usually cannot immediately deduct the costs of these assets. The costs have to be deducted over a number of years through depreciation. Luckily for restaurant owners, there is an exception that allows restaurant owners to immediately deduct the costs of smallwares in the year they are purchased and used. This provision applies to corporations engaged in the business of preparing food and beverages to customer order for immediate on-premises or off-premises consumption. In addition to restaurants and cafeterias, this provision also applies to caterers, mobile food servers, bars and taverns, and food or beverage services located in grocery stores, hotels and motels, amusement parks, theaters, casinos, country clubs, and similar social or recreational facilities. When the smallwares are purchased before the business begins operations. In this situation, the smallwares are treated as start-up expenses. Start-up expenses of up to $5,000 can be deducted the year business operations begin. Excess start-up expenses are deducted over 15 years. When the smallwares are purchased and stored, rather than put to immediate use. In this situation, the smallwares are treated as inventory and become deductible when they are put to use. Example: Janson Family Restaurant will open to the public in July 2013. Prior to its opening, it buys $10,000 of smallwares. Later during 2013, it buys $5,000 of additional smallwares. During 2014, it buys an additional $4,000 of smallwares. Finally, during the last week of 2015, it buys $10,000 of smallwares, but keeps them in storage until 2016. The $10,000 of smallwares purchased before opening are treated as start-up expenses. It can immediately deduct $5,000 and deduct the remaining $5,000 over 15 years. The $10,000 of smallwares purchased during 2015 must be recorded as inventory in 2015 since the smallwares aren’t being used. The $10,000 will be fully deductible in 2016 once they are used.